We’ve been all waiting for Disney and Lucasfilm to announce the new characters in Star Wars: Episode VII. With only vague rumors and speculation to go on, we can only imagine who is actually going to join the saga. Appearing in a Star Wars movie can boost your career like it did for Natalie Portman and Harrison Ford, but it can also diminish whatever career you had in Hollywood, like it did for Jake Lloyd and Hayden Christensen. This time around, it seems that Kathleen Kennedy and J.J. Abrams are looking for actors with already established careers. Ian McDiarmid, Harrison Ford, Carrie Fisher, Mark Hamill, Billy Dee Williams, Anthony Daniels, Warwick Davies, Benedict Cumberbatch and Gary Oldman. I believe Cumberbatch and Oldman were pursued for the same role, but I don’t know how that will work out with the script changes, but I’m told they are both involved. MarketSaw’s is pretty reliable. Back in 2009 their inside sources disclosed that George Lucas wanted to make another trilogy, but since nothing is official, take this with a grain of salt. McDiarmid has expressed an interest in returning as Emperor Palpatine—most likely as a Force ghost—while Williams is always up for playing Lando Calrissian again. It was confirmed a few months ago that R2-D2 is going to be Episode VII, so it makes sense that his counterpart C-3PO, played by Daniels, will be on board as well. Davis played Wicket the Ewok in Return of the Jedi, and also had a cameo in The Phantom Menace. The interesting thing about MarketSaw’s claims is that Oldman and Cumberbatch might be involved with Episode VII. A few weeks ago, while promoting the new RoboCop, Oldman opened up about taking meetings with Lucasfilm, but he said nothing is official yet. A few months ago, there were some rumors that Cumberbatch might be involved with Episode VII, but the 37-year-old British actor denied the rumors almost as vehemently as he denied that he was Khan in Star Trek Into Darkness. Ultimately it’s about twins, and which will take a path towards darkness and which will follow in their fathers footsteps, or at least that is what it used to be, that may come later as I think changes are being undertaken to bring the original cast into the forefront of the story leading to ramifications that lead up to the next generation of Skywalkers. It’s unclear if the twins involved in the film’s story will be Jaina and Jacen Solo (Han Solo and Princess Leia’s kids), or another from Luke Skywalker and his new wife (maybe Mara Jade), but MarketSaw seems confident in these reports. Production is expected to begin at Pinewood Studios in the U.K. this spring, as it’s also rumored that it would start this May and will last until September. Hopefully, we’re going to hear something official before May. 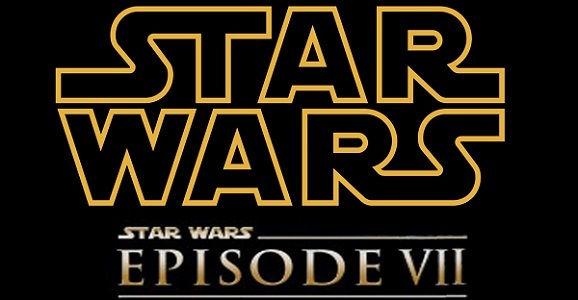 Star Wars: Episode VII hits theaters everywhere on December 18, 2015, in 3D.